The old saying goes ‘March comes in like a lion and goes out like a lamb.’ This statement feels especially true in Virginia where one day might be 80 degrees, the next a snowstorm. March is unpredictable – I think most of us hope it will end on a calm note. 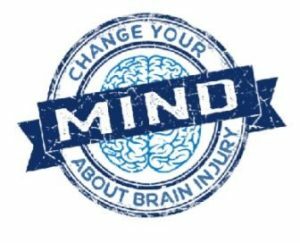 In my new position as Program Director at the Brain Injury Association of Virginia, I’ve recently been given several resources on March as Brain Injury Awareness Month. Sitting in my office, I began reviewing these resources and glanced out the window. As my 11 year-old would say, hashtag so gray. Like many of us, I am ready for sunnier days. Looking out at this gloomy March day, it struck me that people living with brain injuries, as well as family members and caregivers, must often feel the same as they navigate their unpredictable journeys towards healing and recovery – ready for calmer, sunnier days. Days when they could go back before the injury, before they had to explain themselves to those of us who don’t understand. During our Making Headway conference last week, I was inspired by the stories, the research, and the hope. I was renewed in my commitment to BIAV’s mission: to advance education, awareness, support, treatment and research to improve the quality of life for all people affected by brain injury. And I was reminded of just how much work we have to do both to educate our communities about brain injury and to make sure everyone is fully served and supported in Virginia. 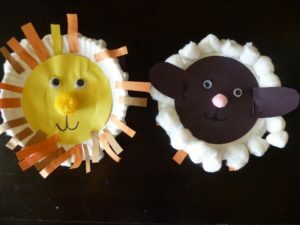 Some days are lions, some days are lambs. For people finding their way through life with a brain injury, this old saying rings even more true. Please join us during the month of March as we strengthen our efforts to change how people think about brain injuries.